Meet the new #SNAPSTAR squad from YULU: Lola, Aspen, Dawn, Yuki, Echo and Izzy part of a new fashion doll brand that’s going to define what’s new for girls. This squad of six social influencers are ready to immerse fans into an exciting world of: Fashion, Beauty, Music, Travel, Photography and Design. 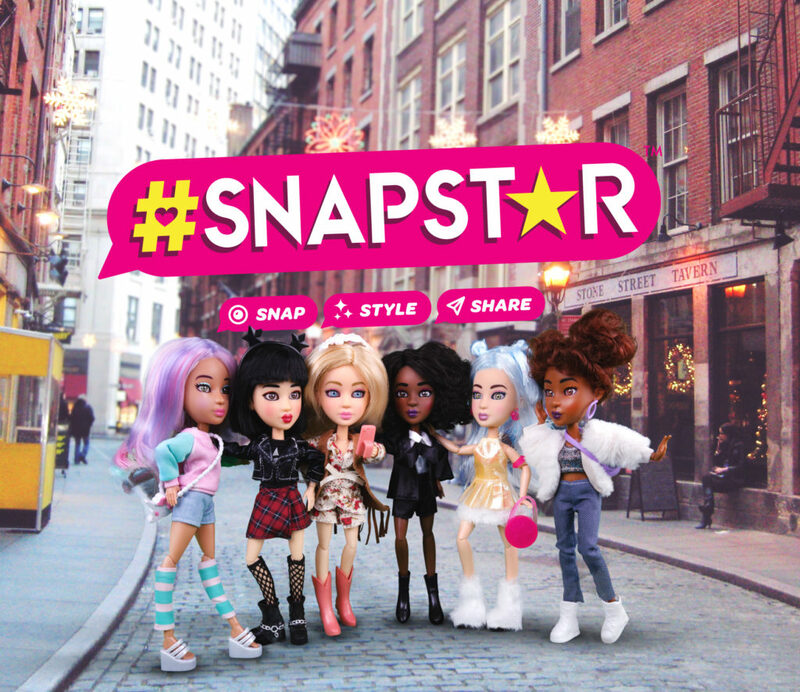 Each #SNAPSTAR doll includes a fully poseable doll with 15 points of articulation, outfit and accessories, removable hairstyle, green screen and stand (for the perfect pics) and “miniature” cell phone. It also includes a free #SNAPSTAR Studio app to glam up your doll, change her hairstyle and more. Save the image to the camera roll and share with friends on social using the hashtag, #SNAPSTAR.